“Twitter is part of everyday business for many executives today,” says Tesla Chairman Robyn Denholm of CEO Elon Musk's social media usage. Tesla Inc.'s new chairman defended CEO Elon Musk's frequent tweets, lending high-level support to a social media habit that's set him and the company on a collision course with U.S. regulators. 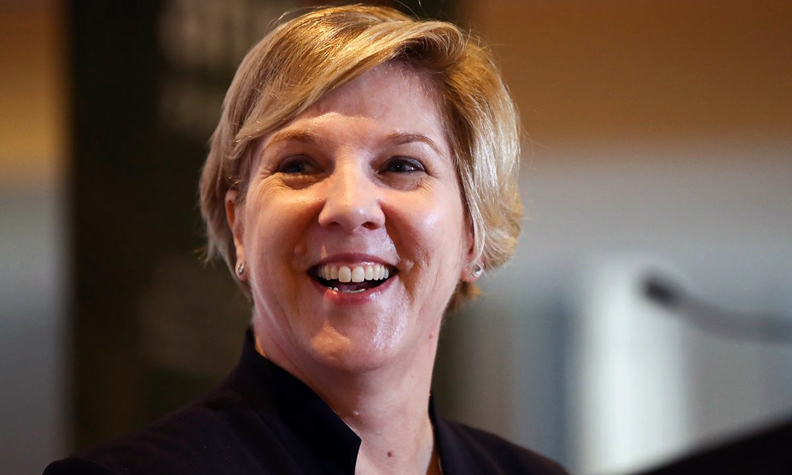 "Twitter is part of everyday business for many executives today," Chairman Robyn Denholm said in an interview in Sydney on Wednesday. "From my perspective, he uses it wisely." Denholm became chairman on Nov. 7 after a tumultuous few weeks for the electric car maker. Musk's August tweet that he had secured funding to take the company private sent Tesla stock whipsawing and the U.S. Securities and Exchange Commission sued. A settlement with the regulator was reached in September. The SEC told Tesla then to get a grip on Musk's communications. And Musk had to cede the role of chairman to improve oversight at the carmaker. Denholm's comments on Wednesday, following a speech at the American Chamber of Commerce in Australia, are among her first in public since she replaced Musk. And they come days before the SEC and Musk face off in a U.S. court over the executive's use of Twitter. Despite the September settlement with the SEC, Musk remained a rapid-fire tweeter. The regulator last month asked a judge to hold him in contempt, arguing his unapproved February tweet about vehicle production was misleading and violated the order. Musk has defended himself, cited his constitutional right to free speech, and his diligent attempt to comply with the restrictions. A federal judge in Manhattan has scheduled April 4 to hear arguments from Musk and the SEC on whether Musk should be held in contempt. Denholm on Wednesday defended Tesla's actions since September. "We believe we've done everything that we need to do under the settlement, but obviously it's going to the court and it will go from there," she said in the interview. She declined to comment further. Denholm was a director at Tesla before her latest appointment. When she was named chairman, some were skeptical that an insider who was on the board when Musk got into trouble would be able to rein him in. In the interview, Denholm said Musk didn't present her with any particular corporate-governance difficulties. "I don't think he poses any challenges," Denholm said. "The company is running very well and the board itself is very engaged. We meet with him all the time." Denholm is still CFO of Australian phone company Telstra Corp. and is due to step down from that role on May 6.